Offline Film Festival runs in Birr from October 7 to the 11th and features a cinematic experience featuring movies, workshops and competitions. Based in Birr Theatre and Arts Centre, but also using other locations around this Georgian Heritage Town, you can expect to be entertained, challenged and enthralled by a wealth of cinematic experiences and opportunities. People of all ages can enjoy talks on filmmaking, animation workshops, outdoor screenings and the wonderful opportunity to discuss a good film over your favourite tipple! 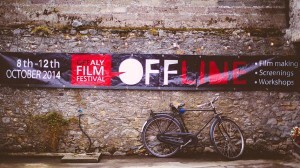 Seewww.offlinefilmfestival.com for more details and its only a 30 min drive from Fuchsia Lane Farm! We are currently offering midweek breaks and weekend specials so drop us an email and we would love to have you stay with us!